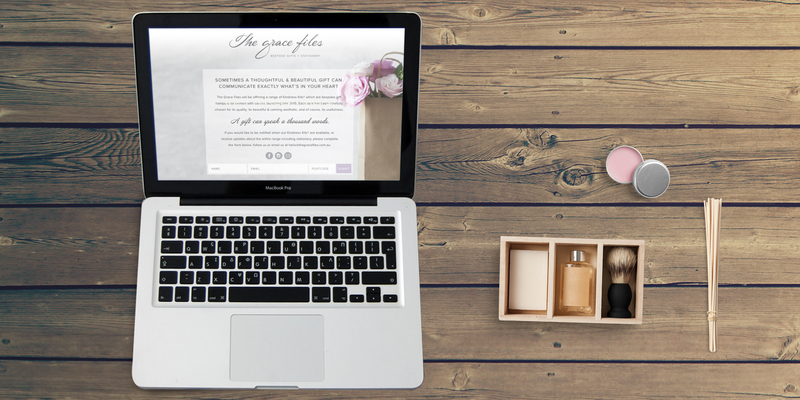 Janelle from The Grace Files approached us to create her a landing page for a beautiful service she is planning on launching called ‘The Grace Files’. She’s offering a range of gifts for people who are undergoing medical treatment and need a bit of a pick me up, with medical journals and kits filled with all the essentials. The page needed to give out a bit of information on what she was offering with some contact details, social media pages and an email subscribe form for people to be notified with updates.